CityWatchLA - If Apple Computer’s Steve Jobs Ran City Hall, What Would He Do? Councilmembers Garcetti and Krekorian have both utilized iPhone Apps as tools for connecting their constituents with City Hall, earning accolades for their innovation and vision. This small step begs the question, what would happen if LA simply rebooted City Hall, embracing the way of the iPhone’s creator … Apple Computers, Inc … and installing the latest iGovernment Operating System? More significantly, what would happen if Los Angeles embraced the ideals and commitments of Apple? 1) LA would have a long-term vision in place. Progress would be measured based on the development and implementation of stepping stones that are all part of building the future into LA's platform. LA's current vision, if it can be called a vision, consists of reacting to a long series of crises with short term fixes that merely stave off the inevitable and allow City Hall to engage in prolonged triage. Apple, by comparison, went from a 1997 low that saw Fortune Magazine label it "Silicon Valley's paragon of dysfunctional management" to its recent high where it became the largest company in the tech universe, passing Microsoft in market capitalization. 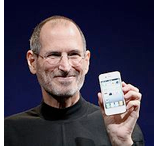 Apple CEO Steve Jobs did it by focusing on the Apple Core and challenging his team to a high standard. "Be a yardstick of quality. Some people aren't used to an environment where excellence is expected." 2) LA would have a plan for moving forward. Performance would be evaluated based on the implementation of progressive solutions that build on prior successful innovations. LA's current plan is reactive and compartmentalized to the point of absurdity. City Departments operate independently and redundantly, competing internally for resources, and operating out of a commitment to self-preservation. Apple, in contrast, is led by a CEO who is focused on the user experience and on keeping the company on track. Jobs defines his role, saying "The people who are doing the work are the moving force behind the Macintosh. My job is to create a space for them, to clear out the rest of the organization and keep it at bay." This focus has led to the release of a series of platforms (Mac OS X, iPod, iPhone OS, iTunes, retail, App Store, etc) that, in hindsight, demonstrate a vision and a plan for delivering products that exceed the customers’ expectations, setting industry standards along the way, and building on prior successes to fuel the next innovation. 3) LA would embrace simplicity. City Hall redundancies would be eliminated and LA's CEO would focus on the simple delivery of prioritized city services and the satisfaction of the simple common goals of the people of Los Angeles. LA's current bureaucratic maze defies navigation and requires the assistance of gatekeepers, handlers, fixers, navigators, consultants and facilitators. As for the simple folks of LA who attempt to reach out to City Hall, literally every door leads to the Department of "No!" Apple, on the other hand, sets a standard for simplicity and then again for exceeding demands. Mac faithful have grumbled over the years as features and operating systems have disappeared. But the loss of the floppy disk, the threat to the optical drive, and the anticipated demise of the mouse are all quickly forgotten because of the simple brilliance of the replacement. Jobs explains his commitment to innovation by quoting Henry Ford who said "If I'd have asked customers what they wanted, they would have told me, "A faster horse!'" Apple's CEO sees his role as a filter. Jobs keeps his finger on the DELETE key but when he says "Yes!" he means it and it resonates throughout the company, transforming the market and eventually the industry. He starts with the customer's experience as the foundation, using their requests as the inspiration for exceeding their imagination and vision. Jobs explains "You can't just ask customers what they want and then try to give that to them. By the time you get it built, they'll want something new." He concludes by explaining his position, "Innovation distinguishes between a leader and a follower." 4) LA would have Genius Bars at City Hall and in every Council District! City Hall would move beyond the basic commitments of Public Safety, Public Health, Public Works, Public Education, Public Service and Public Benefit, embracing Public Trust as the glue that holds LA together as a Great City. LA's current Operating System seems to be something that happens in spite of the people, not because of the people. That needs to change. Ten years ago, Apple implemented a retail strategy that set out to imitate the customer service standard found at a hotel concierge desk. This led to the creation of the Genius Bar, something referred to as the "heart and soul" of every Apple Store. Apple Geniuses will look at Apple products for free, regardless of where they were purchased, operating with authority to waive any repair fees that might apply, all in a commitment to forging a relationship that transcends the hardware/software issue at hand. Sydney is a city of five million people and they have a concierge on the first floor of City Hall. I think Los Angeles could go one better and staff City Hall with a Genius Bar, staffed with people who are committed to creating a City that Works! This past week, nine people gathered at the Metro's 405/Sepulveda Project headquarters in an effort to prepare for a meeting they did not intend to attend. If not attending a meeting requires the participation of nine engineers, consultants, and outreach coordinators from the Metro and Caltrans, one can only imagine how many people would be required in preparation for a meeting that actually took place. The "I-405 Sepulveda Pass Improvements Project" is a 10 mile HOV lane project that includes modifications or replacement of supporting infrastructure such as 27 ramps, 3 bridges, 13 underpasses and 18 miles of sound walls. Along the way, the gravitational pull of this mega-project resulted in the already-funded Sepulveda Blvd. Reversible Lane Project getting absorbed into the 405/Sepulveda project. The 405/Sepulveda Project is a "design and build" endeavor that involves Caltrans, the Metro, the LADOT and the County of Los Angeles. The lines of responsibility are blurred to the point of absurdity, resulting in community meetings that direct local concerns to "The Department or Authority not in attendance. Case in point, two months ago, the Metro and Caltrans sent a team to Caltrans Headquarter to present the 405/Sepulveda project to the Caltrans District 7 Bicycle Advisory Committee, a group made up of representatives from local municipalities, advocacy organizations, consulting groups, and community councils throughout LA and Ventura Counties. The Caltrans team was ill-prepared. Two lead members were within their second week of employment, and on the first PowerPoint slide it was evident that the audience should be giving the presentation, perhaps even building the project. An audience of professionals might be a tough crowd but they are also an asset which makes it curious that Caltrans and the Metro never followed up, save for the meeting to prepare an exit strategy to their promise "to return with more information!" Even more importantly, where was the Los Angeles Department of Transportation and the LA County Planning staff through all of this and why does it take the audience members in an outreach meeting to point out violations of law and design standards to the 405/Sepulveda engineers and outreach team? The 405/Sepulveda project is positioned as a connectivity solution, one that will facilitate the smooth flow of people through the Sepulveda Pass. 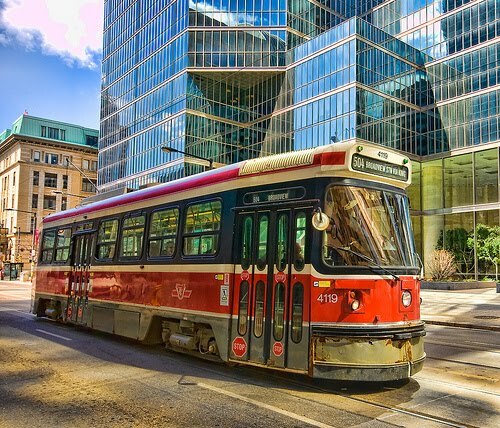 While the potential impact of a billion dollars in physical infrastructure is considerable, it is acutely evident that the real potential for connectivity is in improvements to our human infrastructure. Now more than ever it is imperative that the City of Los Angeles take the lead on connecting the many agencies and authorities that have an impact on our streets, our neighborhoods and our quality of life. It is completely unacceptable that Caltrans and the Metro call a meeting to address the impact of the 405/Sepulveda on the streets of LA and the LADOT fails (again) to consider it important enough to attend. It is completely unacceptable for Caltrans and the Metro to hold a planning meeting to discuss improvements to LA County land without the participation of LA County engineers and planners. Most of all, it is completely unacceptable that the project manager of a billion dollar project can't simply take charge and address the concerns of the public without resorting to responses such as "The Agency not in attendance is responsible for that element of the project. You'll need to talk to them." If Los Angeles is to move forward, it will be because we connect as people first, setting a standard for connectivity that creates stronger and more efficient relationships. The Route 66 legacy of connectivity continues to resonate in East Hollywood, bringing the community together in a street revitalization campaign initiated by the neighborhood council and involving the Metro, City Hall, local businesses, residents and transit passengers. LA's Santa Monica Boulevard section of Route 66 had long ago fallen victim to multi-jurisdictional oversight that resulted in CHP, the Sheriff's Department and the LAPD sharing law enforcement authority. 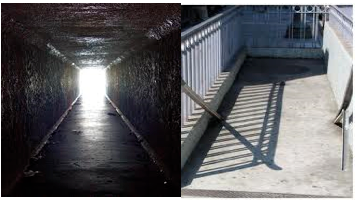 Caltrans and the City of LA share responsibility for maintenance while the Metro and the City of LA share authority over the transit activity, street furniture, and bus stops. Local advocates, from property owners to pedestrians, have long complained of conflict and congestion, yet the process for pursuing solutions typically frustrated even the hardiest of community members. All that changed when the East Hollywood Neighborhood Council turned a crisis on the streets into an opportunity for the rebirth of Route 66. The Metro's Duane Martin and Councilman Eric Garcetti's Transportation Deputy Marcel Porras joined forces and committed to supporting the neighborhood council's newly formed Transit Task Force and their mandate of supporting transit as a tool for improving the quality of life for everybody. Bart Reed of the Transit Coalition joined forces and offered insight in navigating the bureaucratic maze, one that involves the State, the County, the City, and then departments ranging from Transportation to Public Works to Planning to the LAPD to Cultural Affairs. Throw in the LAUSD and it became apparent, one really does need a guide if they intend to cross the street. EHNC President David Bell moved from a problem solving paradigm and embraced an aspirational approach, implementing a connectivity strategy that embraces the rich history of Route 66. The EHNC Transit Task Force includes Historic Preservation experts, Homeless and Social Service advocates, Arts and Culture representatives, along with members of the neighborhood council's Beautification, Public Safety and Transportation committees. 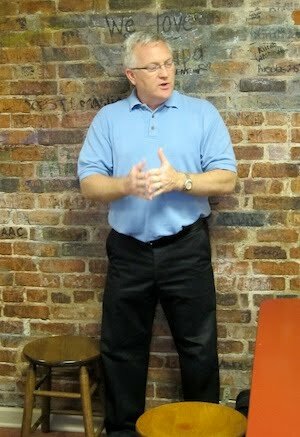 This unique approach to problem solving starts with a commitment to creating an environment that is inspirational and aspirational, focusing on a goal that has a residual impact of addressing the specific problems that initially prompted a local business owner to cross the street, attending a neighborhood council meeting and asking for help. This is just the beginning but every great journey starts with a single step and the East Hollywood Neighborhood Council's Transit Task Force is that step, this time setting in motion another Route 66 adventure that has the capacity to transform a community. The Metro's CEO, Art Leahy, joined the Transit Coalition for its monthly get-together at Philippe's the Original, sharing double-dips and beers with a capacity crowd made up of transit staff, advocates, politicos, consultants, and press. Most importantly, he shared some insight into his plans for the Metro and his desire to becoming an agent of change at the helm of LA County's transportation system. Leahy has a folksy charm that disarms his audience, concealing the fact that he is a sharp strategist, a firm negotiator, and a demanding leader who sets standards and expects results. In his fifteen months at the helm of the Metro, staff have discovered quickly that he is results driven and there is a trail of ex-staffers to demonstrate the penalty for failing to respond to the call for change. One of Leahy's first acts as CEO was to take his management staff to the ticket window at Union Station to allow them to see how hard it was to buy a monthly pass. Packed into the atrium near the One Gateway Metro HQ was a line that wrapped around itself, offering evidence of a Metro administrative disconnect from the Metro passenger experience. That line is no longer found, a small situation that occurred at Union Station, but a solution that resonated throughout the 1400 square mile service area. It also serves as the incident that allows Leahy to state "In word and deed, the Metro cares about our passengers." Leahy continued the attack on the Metro's status quo, removing all of the artwork at Metro HQ because it all celebrated One Gateway and served as a reflection of the things that the Metro management valued. Themselves! He replaced it with pictures of bus stops, train stations, passengers, and transportation, all as a reminder to the corporate staff that they are "overhead" and that the passenger is the purpose of a transportation system. As for the "rubber on the road" experience of the passenger, the Metro's Agent of Change acknowledges that driving a bus is simple but points out it's dealing with all of the transactions that is the hard part. Nevertheless, Leahy says he is committed to understanding the operators in order to get them to understand the passengers. To that end he has an advantage, having worked his way through college by driving a bus. Leahy is not shy about his heritage as a bus operator and, in spite of his UCLA and USC degrees, it is his ability to insist that communication be framed in "language that a bus driver can understand" that is the essence of his call for good simple standards. In fact, as he points out, Metro's strict adherence to a management hiring standard that included college degrees that resulted in a Metro leadership that didn't know how to implement a bus bridge or conduct a relay. All that is due to change as he reinvigorates the Metro leadership with real world experience, not simply college pedigrees. For all the talk of customer service, behavior that drives results, promoting from within, and service standards that resonate, the news that drew the loudest response from the audience was simple and yet revolutionary. Leahy revealed his plan to actually require Metro Execs to ride the bus and rail. If ever there was a "One of Us!" moment, that was it. Art Leahy is definitely an agent of change. He moves strategically and his simple actions are designed for maximum impact. The results already demonstrate that the status quo is under attack and the future of the Metro is based on a commitment to customer service and to a transportation system. It's all Leahy talks about, that and his conflicted UCLA/USC lineage. 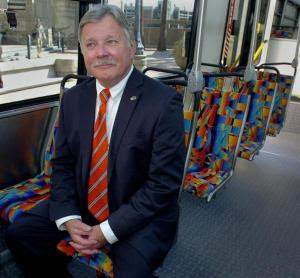 Art Leahy's commitment to operations is commendable and he details his commitment to connecting the Metrolink, Amtrak, Metro Bus, Metro Rail, and the Municipal operators into a regional transportation system that operates consistently and in sync. From the little details, such as the fact that the Metro polishes bus wheels but leaves trash on the bus, to larger opportunities and commitments such as the Metro Board's 30/10 plan, Leahy is focused and driven. He's also punctual, a behavioral trait that comes naturally to those who ride the train. He also has room to grow as he embraces the Metro opportunities that lie ahead. As he addresses the Metro's commitment, he repeatedly speaks of the passenger which is only part of the Metro's contract with the public. There are two unaddressed elements that must be addressed if the Metro is to take its place as a comprehensive transportation system. The first is the simple fact that the Metro's customers include everybody who contributes financially to the Metro, regardless of whether they ride the bus or the rail. Measure R will raise an estimated $40 Billion from an increase in sales tax which means that anyone who spends money in LA County has a vested interest in the performance of the Metro. Purportedly, the impact of the Metro benefits everybody, whether they are passengers or not. This distinction is an important foundation for a comprehensive transportation system. Second, the Metro is one of LA County's largest developers and has 50 Transit Oriented Developments (TOD) on paper with 32 of them in play. This enormous impact on residential and commercial behavior has a tremendous impact on our communities and on the quality of life in those neighborhoods. The Metro's ability to reduce the need to travel within LA County is an opportunity that is missing from the typical transportation discussion. Yet, it is a significant impact that doesn't need its wheels polished or an operator at the wheel. Third, while the Metro is busy implementing customer service standards that impact the purchase of monthly passes or a bus operator's greetings, the huge opportunity lies in the need to implement standards for the integration of Transit Oriented Development into a community. While the Metro talks of a complete transportation system, it will not be complete until it includes those who simply live in the area or operate a shop or walk the street or ride a bike. Great public space is part of a commitment to the community and a comprehensive transportation system must address the complete community. The Transit Coalition meets monthly on the last Tuesday of each month at Philippe's the Original. In addition to Art Leahy, recent guests include John Fenton of the Metrolink and Bruce Shelborne of Metro. John E. Fenton, Metrolink's new CEO, joined the Transit Coalition at its monthly meeting and offered up his philosophy on transportation, business, public benefit, and customer service. "Everything we do, we do for people. If we forget the human element, we will fail!" He acknowledged that the bulk of his rail experience consists of moving freight and included stints with the Canadian National Railway, the Kansas City Southern Railway, and the Santa Fe Railway. But he took time to point out that his professional commitment to the safe and effective operation of a rail system was developed during his first rail job when he worked for a government agency servicing munitions depots hauling bombs around. "I'm committed to safety!" Through it all, he says his commitment to safety has always been the foundation of operating style and the key to his success, claiming that his focus on the management of risk and probability yields benefits that transcend a simple reduction in "incidents" and results in an increase in employee morale, customer satisfaction, operational accountability, and systemic performance. "It impacts every aspect of the operation and it is the substance of my leadership commitment." Fenton has been on the job for just six weeks and yet the impact of his arrival has had a positive impact on the Metrolink's operations, starting with his message to Metrolink insiders "Schedules, capital improvements, track maintenance, running the railroad, it's all important because we're moving people. The people are the ultimate responsibility. He spoke of a recent conference call he had with his operations team in which he left his audience sitting for three minutes with nothing but dead air. He did it to make a point, that a delay that left people wondering "What's going on?" is completely unacceptable and that he expected Metrolink's passengers to be informed and treated with respect, not just with schedules and performances but with information and guidance. Fenton's philosophy for systemic change was home-spun at times, "Yeck, I move boxcars more efficiently than this. These are people! Let's get moving!" It was good old fashioned common sense, "Why are 'Passenger needs assistance!' calls a surprise?" It grew wonky and the room perked up! "Systemic improvements come when you manage the details and understand what is causing your performance issues." "I manage by exception, I'm always going to manage the bottom quartile in every case. You manage performance by moving the bottom. Drill into the data, ask why, get the top causes of failures and you'll find that the root causes analysis will direct you to the work that needs to be done." Every topic he addressed came with a demonstration that he was able to grab hold of both the strategy and the data, connecting them so that each and every decision and action were combined to maximize effectiveness. Fenton's laid down his strategic priorities for Capital Improvement as safety, line capacity, operating efficiency, renewal rates. Shared tracks, capacity constraints, power plants, 30-10, HSR, ties per mile, he presented a business case to a room full of experts reliable and predictable experience to the customer that results in a "Wow, I want to ride that again!" The Transit Coalition's audience can be a tough crowd, typically filled with transit professionals, engineers, planners, activists and consultants. Fenton was able to address their concerns and desires for a robust transportation vision as well as a sensitivity to the details of the inner workings of a rail system and especially a commitment to the passenger's experience. He hit the marks and went further, laying down an commitment to connectivity that included a strategy for synergy with other transportation systems and an acute sensitivity to the fact that passengers need to arrive at the station and then depart the station, that transition is part of the Metrolink experience. Fenton jumped into his role at Metrolink feetfirst and one of his first executive orders was simple and yet revolutionary. He implemented a shut-down policy that forbids idling locomotives and that resulted in a savings of 93 thousand gallons of fuel in the first three weeks of the new policy. This commitment to financial responsibility, to environmental responsibility, to systemic efficiency and to good old fashioned common sense bodes well for the Metrolink, its passengers and the community as a whole. The Transit Coalition meets monthly on the fourth Tuesday at Philippes the Original and Fenton was the latest in series of transportation leaders to join the TC in discussing the future of transportation. Prior speakers have included OCTA's Will Kempton, the Metro's Art Leahy, and the Metro's Bruce Shelburne. June's Transit Coalition meeting will feature round two with the Metro's CEO, Art Leahy. Great cities are notable for their commitment to built, natural, and social environments. While other cities embrace open space, public space, and green space as zippers that bring people together, Los Angeles continues to position the curbside metered parking space as a battle ground that alienates individuals and divides communities. At the same time, curbside metered parking spaces are one of the best real estate deals in town. Great locations, excellent view, short term rentals. On Friday, September 17, artists, community members, neighborhood councils and visionaries will step up to the curb, put a quarter in the meter, and proceed to transform a small bit of street into a park, sparking a dialogue on our urban landscape, along with the allocation and management of public space. 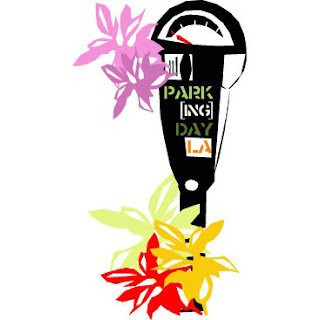 This is the 4th annual Park[ing] Day LA, an event that is part of a worldwide celebration spanning 6 continents, 21 countries, 140 cities and 700 parks. Last year Los Angeles hosted four dozen parks, two bike rides, one film screening and a lot of inspired imaginations. Park[ing] Day LA 2010 promises to keep the tradition and raise the standard, offering different expressions of the idea that streets should be an opportunity for connectivity, not division. Park[ing] Day originated in San Francisco in 2005 when the artists from Rebar transformed a single metered parking space into a temporary public park in an area of San Francisco that the city had designated as lacking public open space. Since then, the concept has been remixed and adapted, resulting in parks that range from the traditional green space/park bench to mobile parks that are moved throughout the city by cyclists. Park[ing] Day events have included urban farms, ecology demonstrations, political seminars, poetry, art installations and even a wedding ceremony. Through it all, the simple message is "Streets are for People!" This year, plans are underway for Park[ing] Day LA clusters, some that come with a commitment to creating community and some that come with a commitment to develop specific land into a permanent park. Themes range from Shakespeare Everywhere to Free Speech Zone to Dog Park[ing]. Some folks like to build parks, some like to visit, and some cluster of parks provide people an opportunity for walking and riding tours of the wide variety of themes, messages, and expressions of Park[ing] Day LA. There are already great parks grow[ing] in Downtown, in Silver Lake, Echo Park, East Hollywood and Westwood. If you’d like to participate in Park[ing] Day LA but are unsure as to where to start, how to build a park, how to frame your message or how to engage your community, come by East Hollywood on Saturday, September 4 for a Park[ing] Day LA workshop. Contact Info: info@ParkingDayLA.com for more information. Join Park[ing] Day LA on Facebook, on Twitter, on MySpace and on YouTube. To look at the Port of Los Angeles from deep inside is to gaze upon the character of the City of Los Angeles. I say this not because I've been reading Nietzsche, but because I just returned from a tour of the Port, one where I experienced profound contrasts in scale, behavior, and purpose. Theoretical discussions of shipping, transportation, the environment and the economy went from theoretical to tangible and all iActive Imaget took was a three hour boat tour. I've long participated in advocacy work that involves reviews of bridges such as the Commodore Schuyler F. Heim Bridge, of environmental issues related to trucking on the 710, of development issues and the impact on surrounding communities and of the economic impact of LA's commitment to moving America's goods. Those conversations inevitably include references to the Port of Los Angeles and its connection to the city, the region, and the nation. But for all the expert testimony, mountains of technical documents and PowerPoint presentations, nothing communicates the nature and the size of the Port of Los Angeles like standing in the shadow of a Container Ship that stretches out of sight, or sailing under the Vincent Thomas Bridge and looking up at a procession of trucks moving like ants, or watching a never, ever ending train loaded with shipping containers move across the Commodore Schuyler F. Heim Bridge. My wife and I toured the Port with a team from Caltrans that included engineers responsible for everything from environmental review, design, bridges, highways, access, funding, and regional connectivity. We've long worked with Caltrans and it was from within this wide variety of perspectives that the term "economies of scale" took on a new meaning. But most of all, we encountered some simple contrasts that was quite revealing about the Port as well as the City of Los Angeles. 1) From our vantage point aboard the Port of LA's Angelina II, we looked to one side and watched a huge ship unloading brand new automobiles imported from overseas. The cars were shiny, the ship was beautiful, the operation of unloading was seamless. To the other side of the channel, mountains of shredded scrap metal, salvaged from discarded automobiles, was prodded and pushed by a couple of bulldozers, part of an operation that sorts and shreds waste material and ships it back overseas so that it can be recycled and repurposed and sold to us again, perhaps as the shiny vehicles on the other side of the channel. The majority of the shipping containers that leave the Port of LA leave empty, but of those that hold a cargo, apparently the balance of trade consists of brand new product arriving and scrap material being returned. The contrast between what we get and what we give was daunting. 2) Container Ships are huge diesel burning power generators and even sitting motionless in the Port they need power. To see a mega-sized extension cord hanging from a large ship is an interesting contrast in technologies and environmental commitments. Unfortunately, not all ships are enabled for Port Electric and it is an optional program, one that the Port funds in an effort to make it attractive. The contrast between the Port's commitment to improving the Port's environmental impact and the Port's reluctance to raising the standards for the shipping partners leaves some innovations light on systemic implementation. 3) The Port has a surreal quality to it, incredible amounts of activity but at such a huge scale that it's hard to see the humans in all of the motion. They must be there, in little cabins on cranes or raising and lowering the bridge or operating the train, but they're hard to see. So much takes places with such an emphasis on automation that from a distance, it appears that the ships are picked clean by machines. There is something awe-inspiring to watch something work so seamlessly. Simple or complex, a well-designed system that works is a thing of beauty. Such is the Port of LA. But once off the ships, the containers go two directions, on a train or through LA. The contrast between the high-tech unloading and the low-tech transport is what leaves much of LA feeling under siege. Freeways filled with trucks that move containers one at a time, around the clock, has an environmental and land use impact that can't be ignored. 4) An operation the size of the Port of LA must require a diplomatic corps of its own, such is the need to synchronize the many authorities, powers, agencies, and departments who have influence over everything from national security, the economy, the ocean, cross-country shipping and local neighborhood land use. The relationships that must work in order for the Port of LA to move so smoothly is an invisible thing of beauty. But by contrast, a simple proposal to implement a container fee to offset environmental impact expenses was stymied for fear of losing business to Oakland and Seattle. The fact that LA is held back because of a lack of synchronicity with west coast partners in shipping is an obstacle that must be overcome. To pretend to understand all of the complexities of the Port of Los Angeles after a simple boat tour is simplistic, but the value of framing the discussion from within the Port is priceless. Perhaps all discussions and debates should start with a walk, a bike ride, or a boat tour. It's worth a try! Mayor Antonio Villaraigosa's bike crash has generated press around the country, prompting well wishes from around the globe, but somehow failing to elicit the most basic of the appropriate post-crash behavior from the highest ranking member of LA's cycling community. Grist refers to the incident as "a prime teachable moment to deflate the myth that collisions between military-sized vehicles and cyclists are no big deal. Instead, he reinforced the notion that public streets are for autos -- and anyone else enters at their own risk." The Mayor has an opportunity to build on his "Biking in Los Angeles should be a natural" declaration, but it requires action, not just talk and YouTube video thanking the public for their concern. While promises of a Bike Summit play nicely to the cyclists of LA, unless the attendees are the General Managers of the many city departments who have a piece of the streets, it will simply be another opportunity to commiserate over the mean streets of LA as the audience bestows "One of us!" street cred on the Mayor. I propose that the Mayor's real opportunity is to use the specifics of his bicycle crash on Venice Blvd. as an opportunity to improve the streets of LA for everybody and to do it by engaging in some simple and yet effective solutions. 1) Collect the data. Immediately following an incident on the streets of LA, go to LABikeMap.org and enter the data. (collision, near-miss, road conditions, harassment, etc.) No change will take place without good data and while the City of LA deliberates with Google over cloud computing, Bikeside has simply created a crowd sourcing process that allows the public to collect the data that drives the funding for improving the streets of LA for everybody. 2) Endorse the Cyclists' Bill of Rights. The right to travel safely and free of fear is supported by basic law, municipal code, and departmental policy. All that's missing is for the Mayor of Los Angeles to endorse it, communicating to the cycling community that he supports them in word and in action. 3) Implement the Backbone Bikeway Network. Now is the time for the Mayor to commit to connectivity, bringing the full City Family (LAPD, BOSS, Public Works, Planning, DWP, RAP...) together to support the implementation of the Backbone Network, supporting connectivity with Education, Encouragement, Enforcement, Evaluation and Human Infrastructure that goes beyond simple paint on the street. The Mayor has an opportunity to demonstrate leadership by bringing inter-agency leadership (Caltrans, CHP, Metro, LASD, LAUSD, CRA, SCAG...) together to make the Backbone Network an integral element of the Mayor's 30-10 plan. 4) Prioritize Human Infrastructure. Now is the time for the Mayor to set a good example by taking "Confident City Cycling Course" taught by Sustainable Streets. This is also the time to have the City Family participate in bicycle awareness training on the rights of cyclists on the streets of Los Angeles. At Chief Beck's direction, the LAPD developed an online program that sets a standard for effective communication and education. Let's use it! 5) Supervise the Professionals. LA's Department of Transportation licenses and regulates more than 2300 taxi cab operators and if pulling out in front of a cyclist and causing significant bodily injury doesn't warrant some response or trigger some call for education, what does? The motorist who pulled out into traffic and caused the Mayor to hit the ground must be held accountable for his actions, regardless of intent which is rarely an issue. Careless, inattentive, and distracted driving are the more common causes of injury but, regardless, if a Taxi Cab Operator fails to drive safely, he must be held accountable. 6) Empathize with the Public. As the City Council considers enhanced collection strategies for LAFD Ambulance services, it is imperative that the Mayor acknowledge the fact that the average Angeleno would not get emergency surgery on a weekend for an injury suffered on the streets of Los Angeles. If the Taxi Cab Operator caused the Mayor's injury, did the Taxi Cab Operator's auto insurance cover the bills? Surely the Mayor's health insurance, paid for by the public, is not covering an injury caused by a professional motorist licensed and regulated by the City of Los Angeles! The Mayor must clarify legal and financial responsibility, not simply brush it off. These simple steps don't require scheduling a Bike Summit or gathering cyclists together to hear how tough it is on the streets of Los Angeles. They simply require the Mayor to take care of a few details and in doing so, he will get to proclaim "Los Angeles, the City with a Backbone!" LA's City Council is poised to approve two contracts that will allow the LA Fire Department to outsource the Emergency Medical Services Billing and Collection System (EMSS) while implementing the Fire Department Field Data Capture System (FDCS). This will allow the LAFD to manage patient history data, communicate emergency information and initiate billing data collection on scene. The anticipated approval of these contracts will mark the end of a journey that began eight years ago, addressing the issue of uncollected debts that was highlighted by the City Controller and the City Council during the recent budget debates. While the $10 million contract with Scanhealth for a digital data transfer system promises to improve the delivery of services using digital data transfer, it is the contract with Advanced Data Processing Inc. that is positioned as an opportunity to improve billing collections and contribute to the City's General Fund. In the 2009 fiscal year, the LAFD billed $151 million for emergency medical services but collected only $58 million. The outsourcing of the billing and the increase in ambulance fees are both positioned by the Mayor and the Controller as important steps that will allow the LA to deliver on the LAFD's mission while efficiently recovering the costs of the service. In addition, the proposal is designed to protect the City from exposure to Federal, State and HIPAA liability. While there is some controversy over these proposals … unions want city workers trained to do the work and there is the charge that it constitutes double billing, once when the taxpayers fund the LAFD and again when they pay for the services as rendered … but by the end of Tuesday, it's expected that the contracts will be approved, the vendors will go to work on implementation, and the LAFD will continue providing world class service to the people of Los Angeles. As for the Mayor and the City Council, now is the time for them to initiate a larger discussion on the issues that have been overshadowed by the current emphasis on increasing the LAFD's General Fund contribution through an improved data and billing collection process. 1) The Los Angeles Fire Department's PIO, Brian Humphreys refers to the LAFD as "The tip of the spear for an ailing health care system, providing primary medical care to a sizable portion of LA's population." Statistically, it seems simple, increase the collection rate and increase contribution to the General Fund. But another way to approach this is to ask "Who is calling the LAFD and why are they going to the LAFD for primary health care?" People with no money or with no connection to medical services are hardly in a position to respond to a more efficient billing process. They're symptoms of a larger broken system. 2) The Los Angeles Fire Department is a Social Services agency in communities such as Hollywood, addressing the mental, substance abuse, social, and medical needs of the homeless population. One of Hollywood's LAFD Captains estimated that as much as 40% of their resources was dedicated to the task. An increase in the efficiency of the billing process will not address the fact that the LAFD has become the de facto caretaker of LA's invisible population. 3) The Los Angeles Fire Department spends an inordinate amount of time responding to traffic collisions, responding to approximately 100 per day and taking responsibility for emergency medical services as well as transportation of victims. By contrast, the County Fire Department also responds but then relies on private ambulances to transport victims. Increasing the efficiency of the billing process doesn't address the fact that the service itself might be better privatized in the case of traffic collisions and that unlicensed and/or uninsured motorists are not likely to respond to a more efficient billing process. The City Council's pursuit of efficiencies in data management and in billing collections are commendable but these motions fail to address the larger issue of causality and of responsibility. Whether it's the poor without health insurance or the means to pay for an ambulance, motorists or passengers without auto insurance, or indigent without MediCal/Medicare coverage, the fact remains that the City is quickly ending a conversation that should be taking place with the County, the State, and the Federal providers of medical services and support. The Los Angeles Fire Department is a world class organization and offers everything from emergency medical care to the supervision of movie set pyrotechnic stunts. The LAFD is also a leader in the training of community members for emergency preparedness in the Community Emergency Response Teams and Urban Search & Rescue Teams, an investment for the times that the LAFD needs support. This ongoing work has resulted in a citywide full service Life Safety Network, a system that has proven its value during incidents such as the Griffith Park fire, the Station fire, and the Metrolink Train crash. The first opportunity here is to move beyond simple data and billing collection and to fully support the LAFD by looking for systemic solutions that address homelessness, traffic collisions, and patients who lack medical services and support, all of whom currently rely on the LAFD for high quality and unconditional medical services and transport. While the idea of reducing homelessness, traffic collisions and poverty may seem unrealistic, the opportunity for City Family efficiencies in the delivery of services is certainly worth exploring, not ignoring. The second opportunity here is for the Mayor and the City Council to look beyond the LAFD as a simple General Fund contributor and to rally the city departments who are responsible for traffic safety on the streets, for social services, for connecting Angelenos with the County, State and Fed medical services, and for Emergency Preparedness and to work together to make sure that Los Angeles is pursuing maximum outside funding for the great work that the LAFD does.